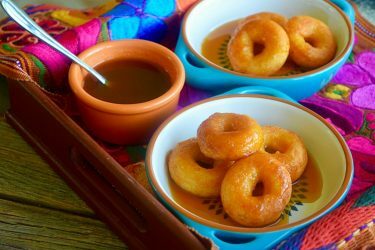 I discovered chicharrón de queso in Mexico City, and it's become one of the most popular recipes in my book. Every time I travel to Mexico, the first thing I do is visit the famous taquerias, not only to eat all the delicious tacos I can get my hands on but also to eat the crispy and crunchy chicharrones while I wait. 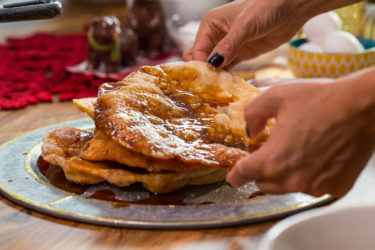 If you've never heard of this treat, chicharrón is most typically made with pork rinds that are deep-fried and almost irresistible. But did you know that they're also made with chicken, fish and even cheese? The cheese version has become a personal favorite. 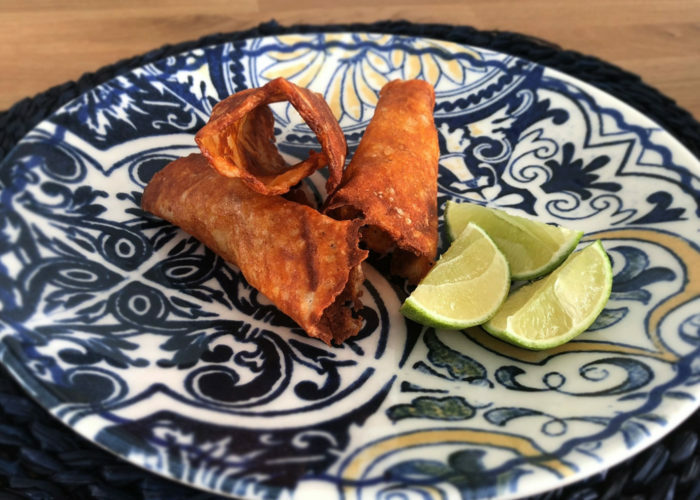 On my last trip, I asked the lady who cooked in one of those taquerias to teach me how to prepare cheese chicarrones, and I made my first batch there with her. When I returned home, I prepared some and gave them to my family so they could try it. They loved it so much that now I prepare these cheese cracklings almost every day! Here I'm sharing the recipe that I learned, and which has become a must-have at home. It's really very simple to make, and you basically need only two ingredients. I recommend preparing them with Monterey Jack cheese, as this cheese works very well for me, but you can also use gouda or manchego cheese. 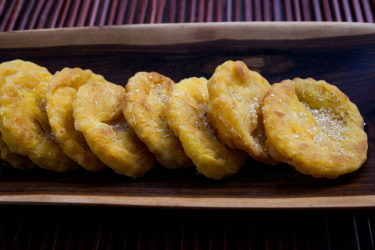 You can make this chicharrón de queso in less than 20 minutes, and serve them as a unique snack or appetizer that your guests and loved ones can munch on while they wait for the main course... tacos, anyone? Pre-heat oven to 350º F.
Spread the cheese loosely over the sheet. You can make a circle or rectangle with rounded edges. Place in the oven and bake until the edges are crispy and slightly browned. Remove from the oven. You can serve them just the way they are when they come out of the oven, or roll them while still hot using a spatula to loosen them from the cookie sheet. Then put them in a drinking glass to give them a cylindrical shape.